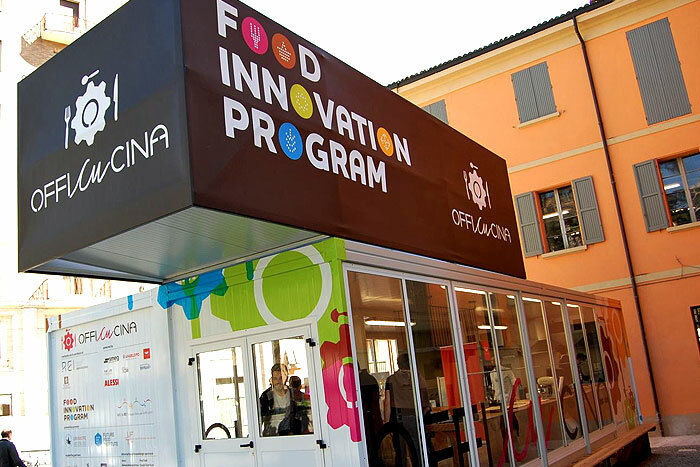 On Thursday, August 6, the Future Food Institute hosted a group of over 40 international students at Officucina in Reggio Emilia. 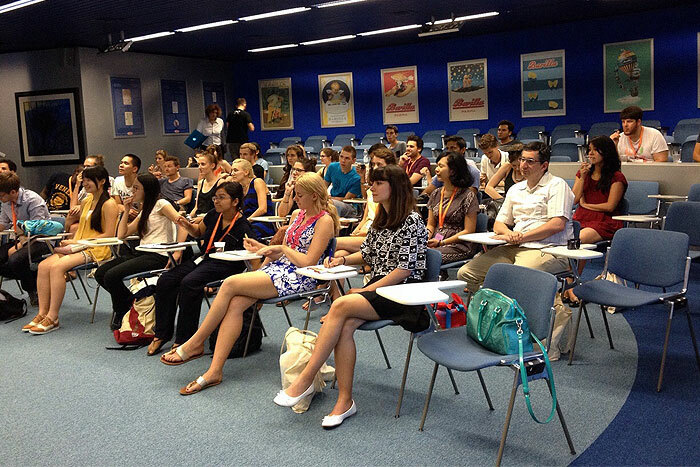 Part of the Climate-KIC Summer School: The Journey, this mix of students hailing from about 20 different countries and 11 European universities were invited to share in a day of learning and collaboration with FFI as part of their five-week summer course concentrating on climate change, sustainability and entrepreneurship. The students, mostly working towards Masters degrees, come from various academic backgrounds – from Technology and Innovation Management, to Business Science, and Water Engineering – to explore the progress, frustrations and opportunities in today’s global struggle with climate change. 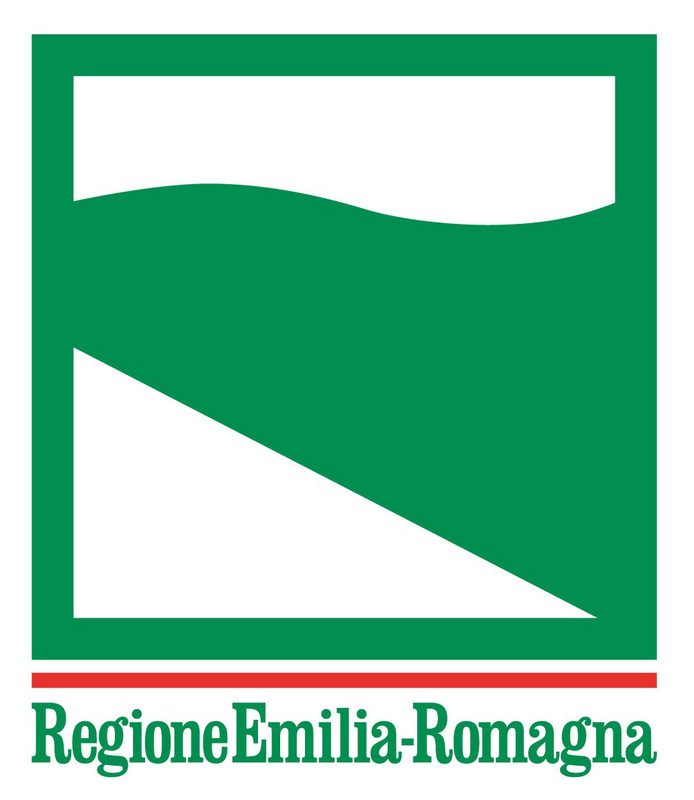 Arriving at Reggio, they were greeted by Director of the Food Innovation Program and Professor Matteo Vignoli who presented an overview of the program and shared some of the goals of disruptive thinking. Prof. Vignoli then shared an engaging segment on Design Thinking, highlighting its advantages in education and entrepreneurial thinking. He reminded the group that innovation doesn’t happen alone, and that communication is a huge human strength. He was followed by visiting Stanford PhD candidate Gabriel Aldaz who spoke of his own experience in targeting user needs and exploring technological innovation through Google Glasses’ integration in hospitals. A brief coffee break allowed for the visiting students and current Future Food Institute Masters students to mingle and discuss their own work, as well as future projects and plans. To round out the morning in Officucina, four FFI students Mercy Chatyoka, Hildreth England, Tarek Soliman and Elisa Bedin presented their own work on food security, behavioral food science and agroecology. After lunch, a visit to the Barilla factory in Parma was coordinated through the FFI. Students met with Cesare Ronchi, the head of Barilla’s Sustainable Farming program, and Marco Silvestri, in charge of Agronomy research, to learn about Barilla’s push for more sustainable methods in their production and among their suppliers. An engaging Q&A session allowed students to gain insight on energy demands, agronomy sciences and growing practices surrounding large scale pasta production. A tour of the factory concluded the day. The Future Food Institute and the Food Innovation Program look forward to hosting more students and collaborating to bring to light new ways of thinking about food, food systems, and food innovation. Towards the end of September, we will host a group of students from Tongji University in China, as well as a group of Korean students for an entrepreneurship summit.